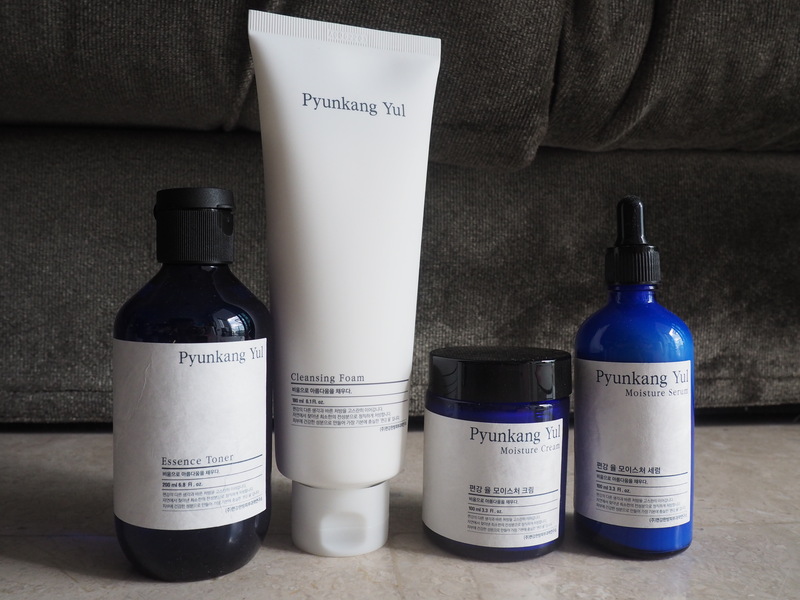 It’s been almost 1.5months since i started using this brand Pyunkang Yul. 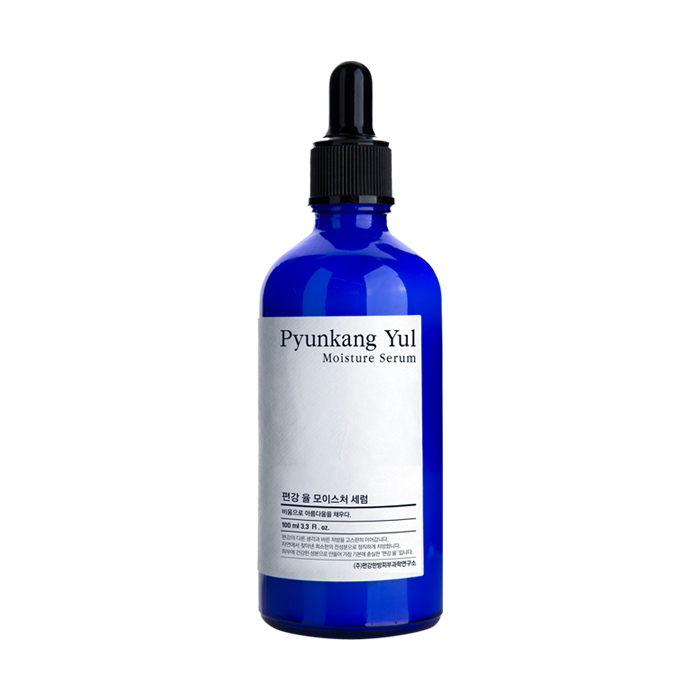 This brand was developed by the renowned Pyunkang Oriental Medicine Clinic in Korea. I chanced upon this brand while i was surfing Lotte Duty Free shopping app. I bought the cleanser , serum and moisturiser. The essence toner came in FREE ! lol I wanted to get it initially but i saw that if i spend more than KRW 40,000 on Pyunkang Yul , i will get a free toner ! So of cos lah..i didn’t buy…and got the free one instead ! So remember to check out the freebies that comes with your purchase before you buy so you can save some moolahs ! 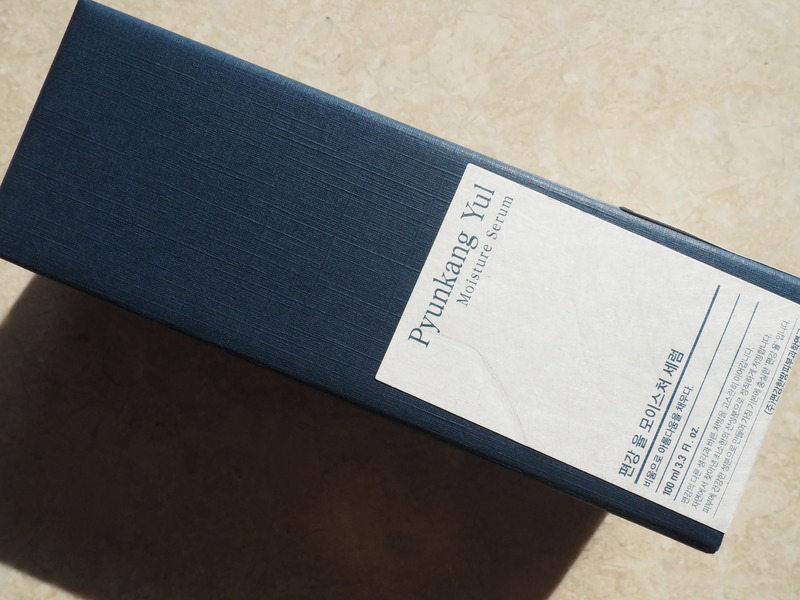 I like their classy blue box and blue bottle packaging. Looks like Korean version of Aesop lol. This cleansing foam tube is quite huge and i think can last me for about 3 months if i were to use it alone. I refused to share this with my hubs lol. Texture is very milky and i like how it foams easily and doesn’t dries up my skin after cleansing. The texture is very smooth so it makes cleansing very easy and gentle. It is easy to wash off too. But there is something i don’t really like. The texture is quite milky such that you do not even need to squeeze the tube and the cleanser wil flow out . So when i open the cap , abit of the cleanser will flow out and drip on the floor. The cleanser works better on a pump bottle than a tube. But overall , this cleanser works well on me. Face looks clean and brightened up after cleansing. If you have sensitive or dry skin , this cleanser should work well on you ! Texture is pretty smooth just like a serum. So it glides on and spreads easily on the face. Good hydrating effect and it absorbs into the skin pretty fast so you can apply the next skincare right away. I like the classy blue bottle ! Its pretty heavy and glass-like. So becareful not to break it ! There are 3 different types of moisturizers in the range – Nourishing Cream , Balancing Gel and Moisture Cream . I managed to get hold of the Moisture Cream because Nourishing Cream was out of stock at that time. It is quite rich and suitable for people with dry skin or who sleeps in air-conditioned room at night. The cream is quite rich so i have to wait for about 10 mins before i can apply my make up. Otherwise my make up will not set and blend properly. If you have oily or combi skin , perhaps the gel will be better. Overall , this has good moisturizing effect ! The serum feels like emulsion and texture is quite thick and rich. Overall it has good moisturising effect. But i find the pipette not very user friendly. This range overall does have its moisturizing effects. My skin wasn’t used to it at first. Properly because of the sudden switch in skincare. But after a week, it works pretty well on my skin ! It is a brand i will definitely buy again ! And if you ask me what is the MUST buy in the list above ? I will say it is the essence toner !